The newest James Bond movie, Spectre, hasn't been shy about showing off action-packed footage in various featurettes and marketing materials but today we have what is really our best look yet at the next adventure for 007. 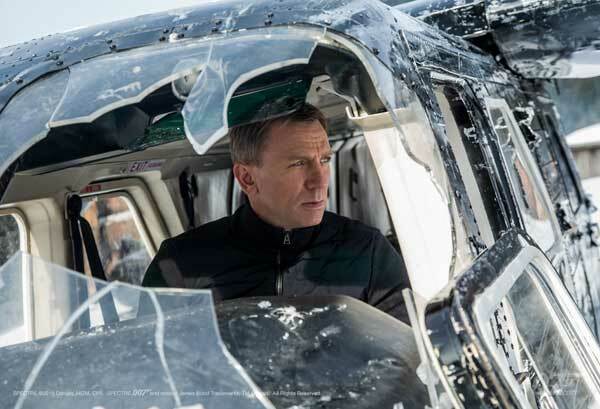 Check out the brand new Spectre trailer below, and expect to see it in theaters this weekend! The official James Bond YouTube page launched this brand new trailer today, and it’s a pretty fantastic spot. From Daniel Craig’s James Bond wearing a very creepy Day of the Dead Mask, to some seriously shadowy board room meetings, the film looks like it has some fantastic, fun elements of the 007 Legacy nailed – and only makes us more excited to see the film. The brand new trailer isn’t the end of the story, however. As you’ll see in the full gallery on our Blend Film Database page, Spectre has also launched a crop of 12 brand new stills, mostly highlighting individual characters who will be playing significant roles in the film’s narrative. 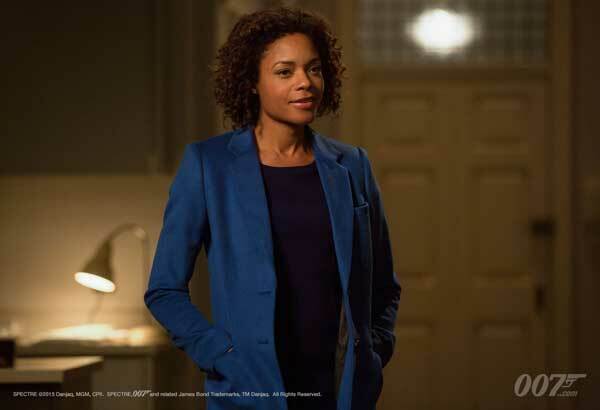 For example, below is Naomi Harris, who returns in the new James Bond movie to once again play the role of Eve Moneypenny (whom producers have promised won’t just stay behind a desk). But the images also put the spotlight on some of the new characters being introduced in Spectre. 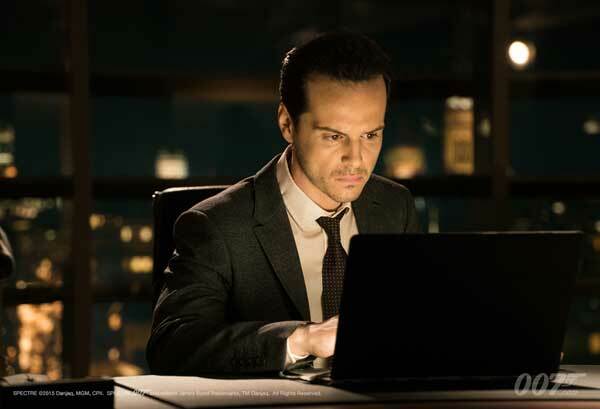 While the character mostly remains a mystery, we know that Sherlock star Andrew Scott will be playing a guy named Mr. Denbigh in the upcoming film, and that he’s a new member of the MI6 Whitehall Brigade. You’d think that’d make him a good guy, but this still and shots in the trailer don’t really paint that picture. Of the new stills, however, the one below is my favorite. Why? Because it makes me think, "Just what the hell did he do to that plane?" Directed by Sam Mendes and starring Daniel Craig in his fourth appearance as James Bond, the film begins with a mission gone wrong in Mexico, and Bond at the center of some MI6 controversy. While all this is going on, however, Bond finds himself distracted by a cryptic message putting him on the path of what he will discover is a sinister global terrorist organization. The packed supporting cast includes Monica Bellucci, Christoph Waltz, Lea Seydoux, Naomi Harris, Andrew Scott, Ben Whishaw, Stephanie Sigman, and Ralph Fiennes. With production having finally wrapped earlier this year after an international shoot, Spectre will be on its way to theaters on November 6th.